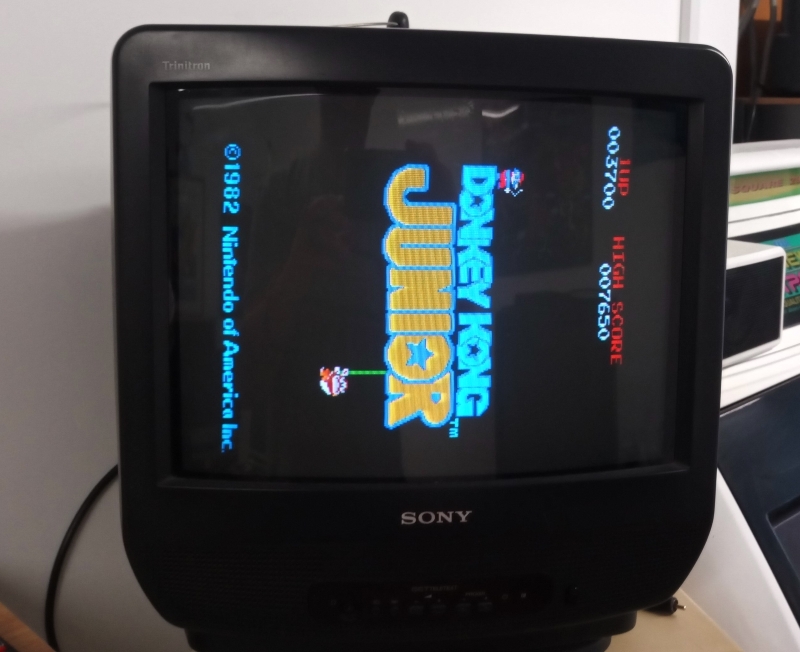 The second of Alex’s board for repair is Donkey Kong Junior. This board booted to static screen that wouldn’t sync. 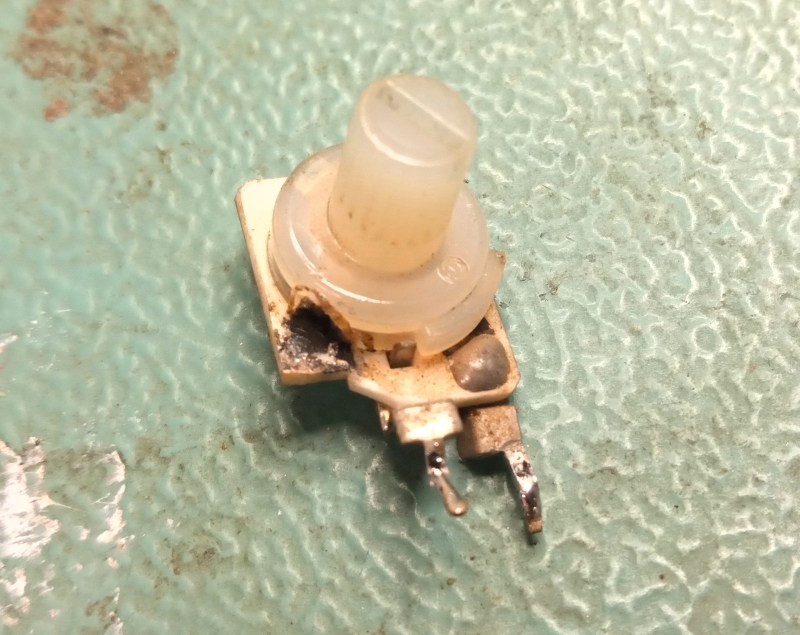 This ended up being a broken 30k pot on the H-Sync. 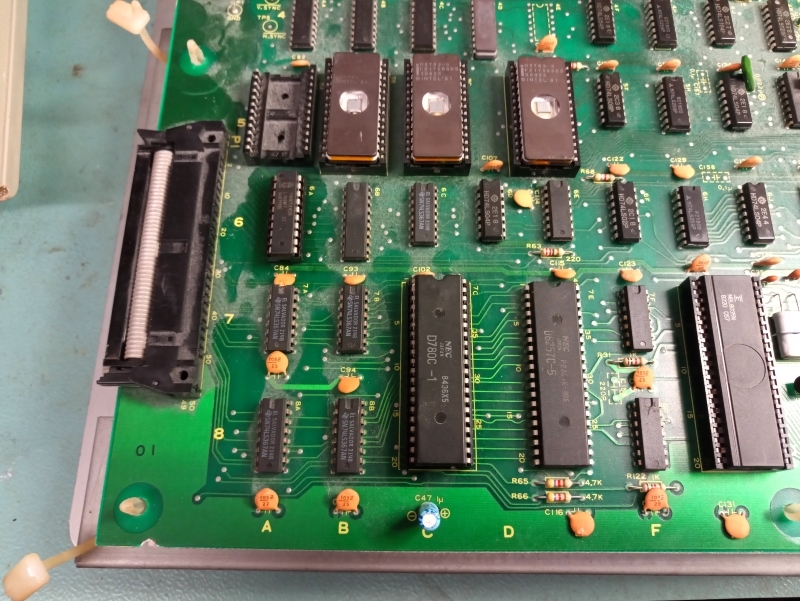 As I don’t currently have and 30k or 50k pots I opted to temporarily fit an 18k resistor to the video PCB to let me move on. 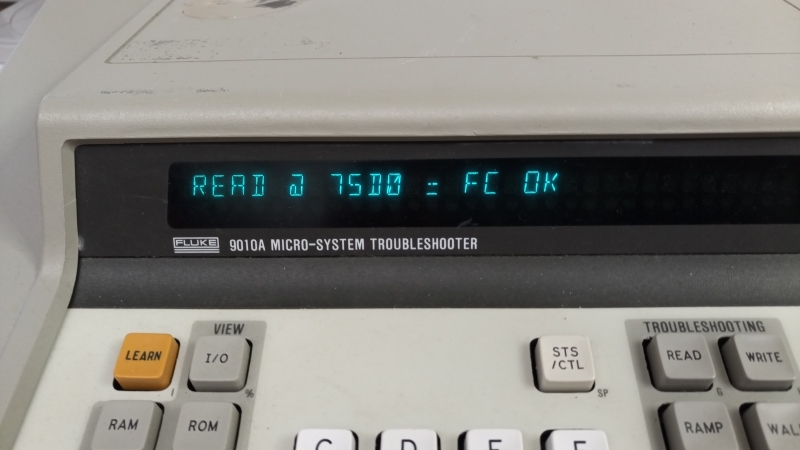 The game now booted to a static screen of garbage but when touching the Z80 CPU it booted. The socket looked old and a bit crusty so I replaced it. The game now played but there was a lot of garbage still on the screen. 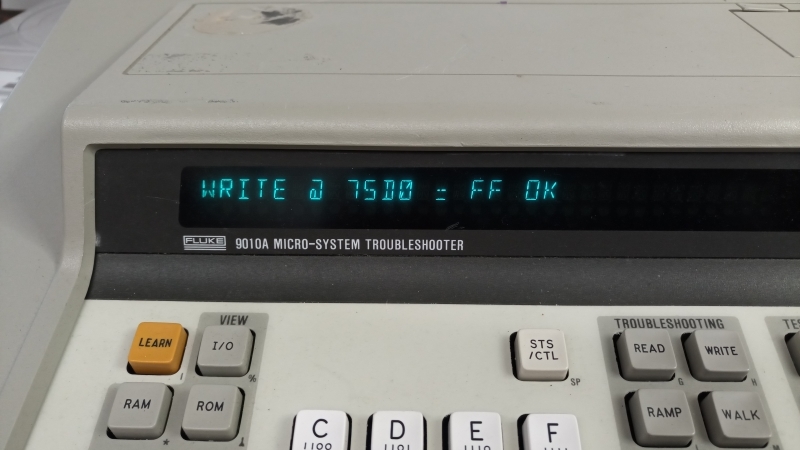 I hooked up the Fluke 9010 and did some basic reads and writes to the video RAM that sits between address 0x7400 – 0x77ff. Clearly bits 0 and 1 were stuck low. 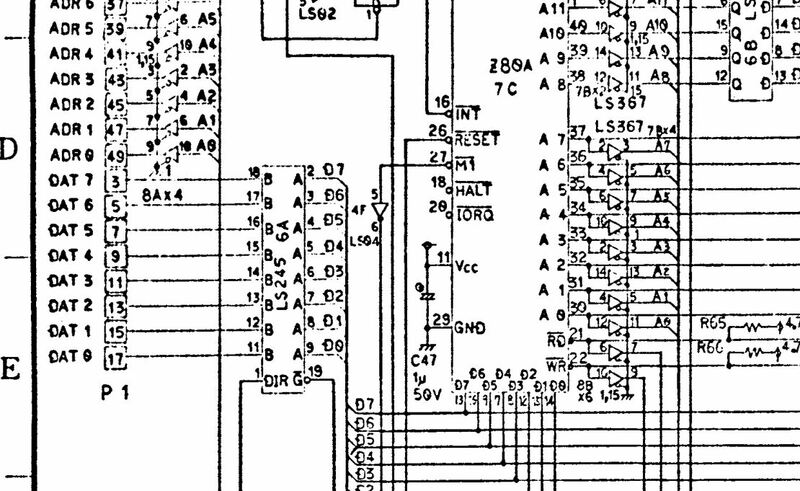 Using the schematics I started checking at a 74LS245 at location 6A which buffers the databus. Straight away I found although the signals were going to the chip the outputs on DAT0 and DAT1 were floating. As the outputs were floating I tested by piggybacking a good 245 chip and everything came up good. Replace the 245 and fitted a new one. Tested the game and all sound and controls work too.